Bill had a point about roses (and maybe Montagues) but it’s a good thing he wasn’t selling candy. Names are important in the candy bar game. Some of them make sense: Crunch bars crunch and Krackel’s crackle. Almond Joy has nuts and Mounds don’t but they are little mounds of sweet coconut and dark chocolate goodness. Some candy bar names seem to make sense but actually mean something else. The Milky Way wasn’t named after the galaxy or the milk chocolate it’s covered in but rather because the taste was supposed to approximate that of a milkshake; the Baby Ruth wasn’t named in honor of the baseball player Babe Ruth but rather President Grover Cleveland’s daughter; and the Mars bar wasn’t named after the fourth rock from the sun but rather for the last name of the family who owned the company that makes them. Then there's the Three Musketeers. The name implies that there's a trio of bars inside the package but when you unwrap it you find only one. Where are the other two? It's called a Three Musketeers. 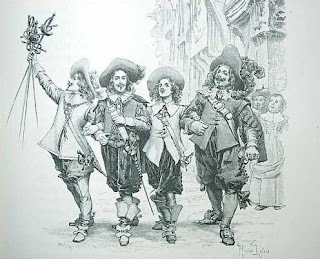 Okay, so the Dumas novel The Three Musketeers name is based on is really about four guys but you get my point. As a kid I spent some time wondering why a single bar was referred to in triplicate. Lucky for me Al Gore grew up to invent the internet and I grew up to type things into Google so I finally found the answer. Turns out there were two other bars once upon a time. Originally the chocolate covered whipped chocolate bar I know and love had a couple of buddies with him: A strawberry comrade and a vanilla pal. But it turns out that chocolate is a fair weather friend. Oh, sure, it's "All for one and one for all," when life is smooth sailing but when World War Two sugar rationing comes around ol' Mr. Popular Chocolate says, "Screw you guys, I'm going solo." 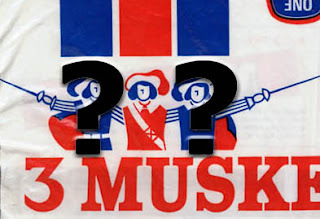 What split up the Three Musketeers? Corporate greed, man. The evil dollar bill. 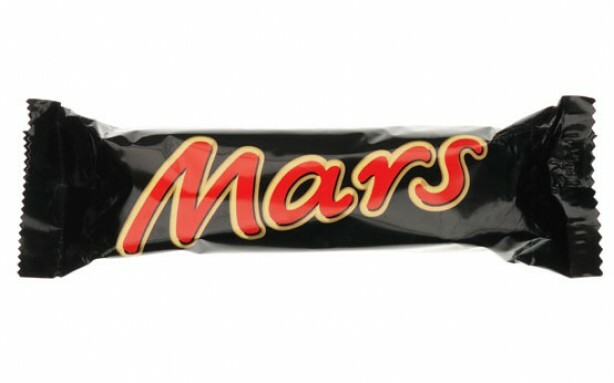 Chocolate alone fed the company's bottom line so the other two bars got the old heave ho. Oh, Big Candy tried to cover it by explaining away the missing Musketeers with a lame line about how the bar was "so big you can share it with two friends" but forget that. First of all, it's pretty much the same size as every other candy bar and, second, when it comes to candy (at least for me) it's "All for one" period. End of sentence. Now there are people trying to bring back the missing Musketeers. Someone started a Facebook group demanding their return. I doubt that the Cardinal Richelieus in charge over at Mars, Inc. these days will knuckle under to fewer than 2,000 "likes" so we need to get that count up. With this blog's readership alone we should be able to raise the "like" count by two, maybe three by the end of the decade. Click the link then click the "like". Let's bring back the missing Musketeers! In the meantime I'm going to honor the fallen by eating my Three Musketeers bars topped with a scoop of vanilla ice cream covered in strawberry preserves. It's the least I can do.